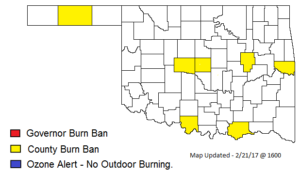 Burn Bans Still in Effect in 7 Counties—-It’s Still Dry! 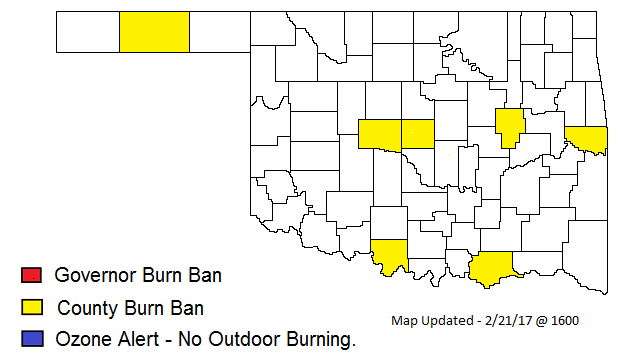 Seven counties in the state still have burn bans in effect despite the rainfall earlier in the week. And things aren’t green yet. A Red Flag Warning was issued for the Panhandle and a Fire Weather Watch for the western quarter of the state. For now we have a Red Flag Warning for the Panhandle and a Fire Weather Watch for the western quarter of the state.